We don’t need to contract a professional Spanish translation for this document – we habla español! Unfortunately this reluctance to pay for a professional translation is common in the workplace today. It’s tempting to think of potential savings by not hiring out your translation to a professional, but in the end it usually makes sense to spend a little on your documents – especially if the public will be seeing them. In a large majority of the cases, we’re talking about a $50 – $250 savings by doing the work in house with your own staff; and the risk you run is damaging your professional image by allowing misspellings and mistakes in your documents. Avoid simple spelling and grammar mistakes in Spanish that make your business look uneducated and unprofessional. I’m always surprised at how many spelling errors there are in Spanish translations of various businesses. It’s easy to tell if a business hired a translation or tried to do it in house. Keep your employees doing what they are hired and trained to do. 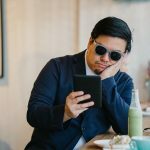 If your employees have a job description (which doesn’t include “translator”), the assumption is that you’re pulling them away from the essential service they provide and asking them to struggle through translating a document that they know they aren’t qualified to do, nor are they comfortable with. Professional translators bring experience and efficiency to your translation project. Translating is truly a skill/art that not many of us possess regardless of how bilingual we are. What a bilingual person can accomplish with relative accuracy in 2 hours of work, a professional translator can accomplish in maybe 30 minutes. Additionally, there is a huge difference in quality of the final product. It rarely makes sense to have your translations done in house, especially if the public will be seeing the document. 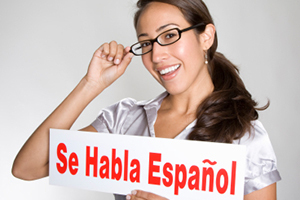 Contact us if you’d like to consider having Common Ground handle your Spanish translation needs!